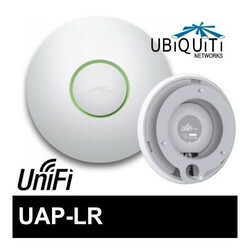 Prominent & Leading Wholesale Trader from Ahmedabad, we offer ubiquiti upa-lr, unifi ap in wall, unifi ap ac lite, unifi ac mech, unifi ap ac lr pro and unifi ap ac lr. Position the Mounting Bracket at the desired location on the wall with the cable feed slot pointed towards the floor. 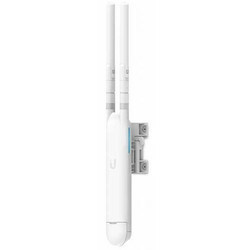 If your Ethernet cable feeds through the wall, cut or drill a circle approximately 25 mm in diameter, just below the bottom center of the Mounting Bracket (as shown above). Then feed the CAT5/6 cable through the hole. 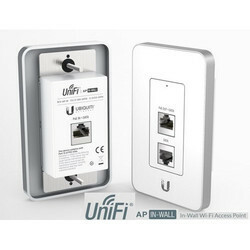 Turn the UniFi AP clockwise until it locks into place. Place the Mounting Bracket in the center of the ceiling tile. Mark the three mounting screw holes and 25 mm hole for the Ethernet cable. Use a 3 mm drill bit to drill the screw holes, and cut or drill the 25 mm hole for the Ethernet cable feed. Secure the Mounting Bracket to the ceiling tile using the Ceiling Backing Plate, Flathead Screws, and Keps Nuts. Then feed the Ethernet cable through the 25 mm hole. 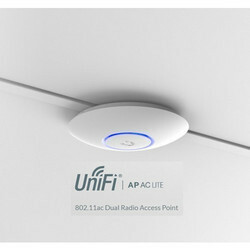 The UniFi AC Lite AP features the latest Wi-Fi 802.11ac technology in a refined industrial design and is ideal for cost-effective deployment of high?? ?performance wireless networks. 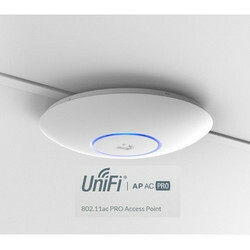 The UniFi AC Pro AP features the latest Wi-Fi 802.11ac, 3x3 MIMO technology in a refined industrial design and is ideal for deployment of maximum?? ?performance wireless networks. 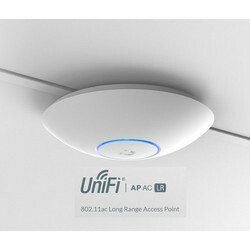 The UniFi AC LR AP features the latest Wi-Fi 802.11ac technology in a refined industrial design and is ideal for long-range deployment of high performance wireless networks. Position the Mounting Bracke tat the desired location on the wall with the arrow pointing up. 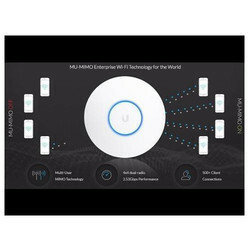 Welcome to UniFi Mesh TechnologyUniFi creates a highly scalable, end-to-end system of devices spanning multiple locations across the world — all controlled by a single interface accessed via the Internet or local network. 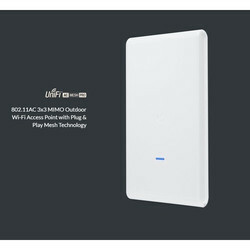 Technology802.11ac Wave 2 MU?? ?MIMO (Multi?? ?User, Multiple Input, Multiple Output) technology allows a Wave 2 AP to communicate with multiple clients at the same time – significantly increasing multi user throughput and overall user experience. UniFi is quickly expanding to a full Software Defined Networking (SDN) solution with seamless integration of high?? ?performance switching, gateways, and more. 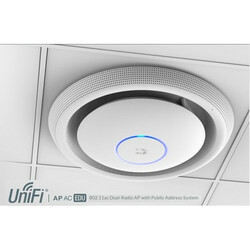 802.11ac Dual-Radio AP with Public Address System, Featuring the latest Wi-Fi 802.11ac, 3x3 MIMO technology, the UniFi AC EDU AP conveniently integrates Wi-Fi and public address capabilities, making it ideal for campus-wide deployment.